the streets of Hong Kong is transformed into an adventure fit for heroes. Under heavy fire from the Chinese Communists, the ship runs aground, stranded for 101 agonising days. Despite severe injuries, Simon and the crew bravely battle their respective foes, enabling Amethyst to make an epic escape. Heralded worldwide as heroes, they sail into Plymouth to a jubilant welcome, but further heart-rending tragedy. 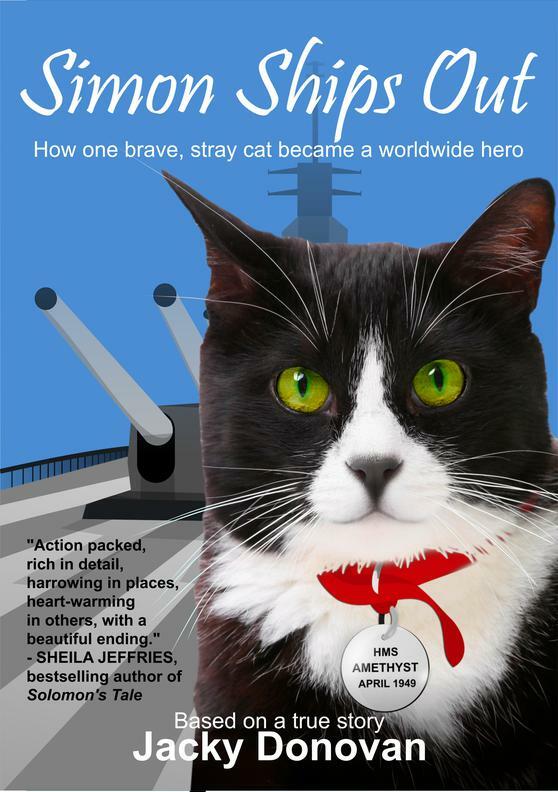 Bringing joy and compassion to those on board, Simon is the only cat to have been awarded the PDSA Dickin Medal, the highest honour for animal gallantry in wartime. Join the mailing list to be the first to hear of these and other Animal War Hero books written by Jacky Donovan!